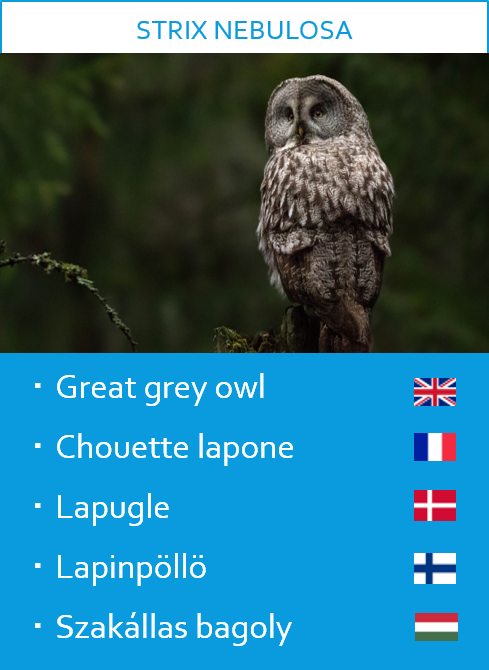 Among birders, Finland is famous for its owls, but a few species are still missing from my list: since I arrived, in October 2017, I added the Eurasian eagle-owl (Bubo bubo) and the Ural owl (Strix uralensis), and that’s about it. This Great grey (let’s call it GGO, like the pro), it’s interesting! 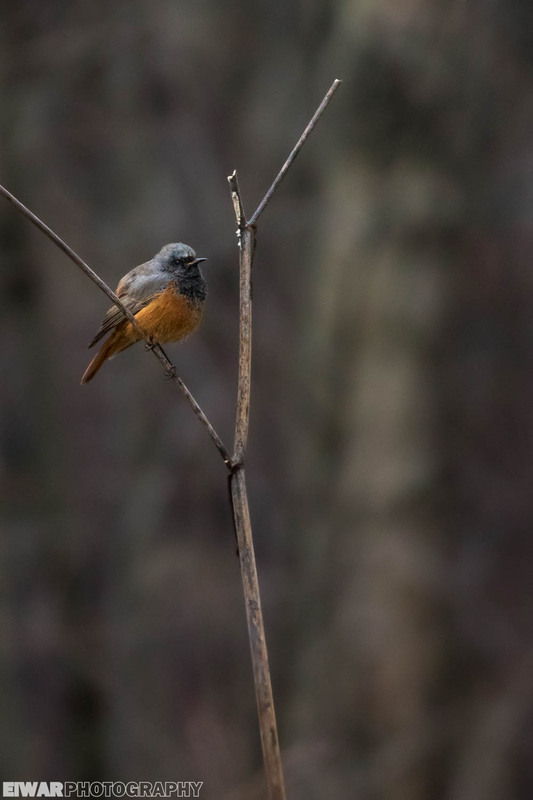 Mika accepts to take me with him to see it, but first, I try to snap a few shots of the redstart. As you can imagine, the conditions are disastrous: it’s very dark, therefore I need to climb up the ISO scale to expose my pictures adequately… which in turn creates a lot of noise. I make a few pictures, then off we go. On the way, we talk more: we talk about birds, we talk about Finland, and we talk about photography. My guide and I have the exact same gear, but he knows the fauna much better than I do, and the good spots that come along. You should check Mika’s Instagram page, it’s worth a look -> click! After parking the car, we walk towards the forest. We see many people coming our way, so we ask. “Have you seen it, is it still there?”. Seems like everyone out that day has binoculars around the neck, and all have seen the owl. We walk faster as we approach, but it has been lost. Mika relocates it quickly, perched atop a dead spruce. I gasp. What a bird! It’s huge, like an eagle-owl, it’s grey, it looks like all the pictures I’ve seen before, except that now it’s me it’s looking at. Photographers flock around the tree, but I prefer to savour the moment and leave the bird a bit of breathing space. I gasp again when it takes off. What a wingspan! It’s huge, it’s grey, and it’s silent like an owl as it navigates the maze of a forest it chose to settle in. Incredible. I’m a bit uncomfortable seeing all those avid photographers getting closer and closer, so I circle around at a distance. 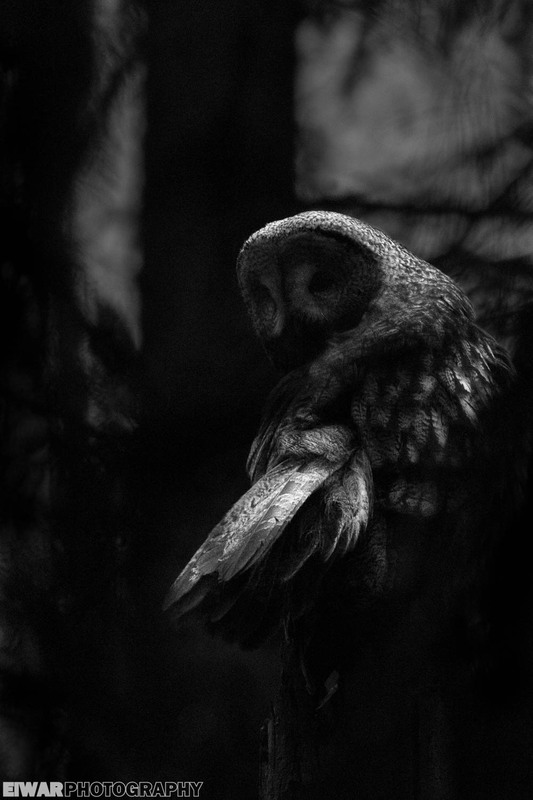 I have a vision, a picture in black and white, with a very dark background and the owl standing out in the light. I know that, in these conditions, I will have to underexpose a bit if I don’t want to use ISO 10000. I’m already at ISO 6400, higher than I’ve ever been. Higher than for the eiders. When the owl moves again, it chooses a low perch. What a mistake. The photographers get even closer, use the flash, it’s a circus, I feel sick. It would have made good pictures, but I simply can’t take any in this situation, with the bird so stressed out, jumping at every sound. I can understand the excitement, given that GGOs (we are pro, remember) are not common in Helsinki, but this is disgusting. 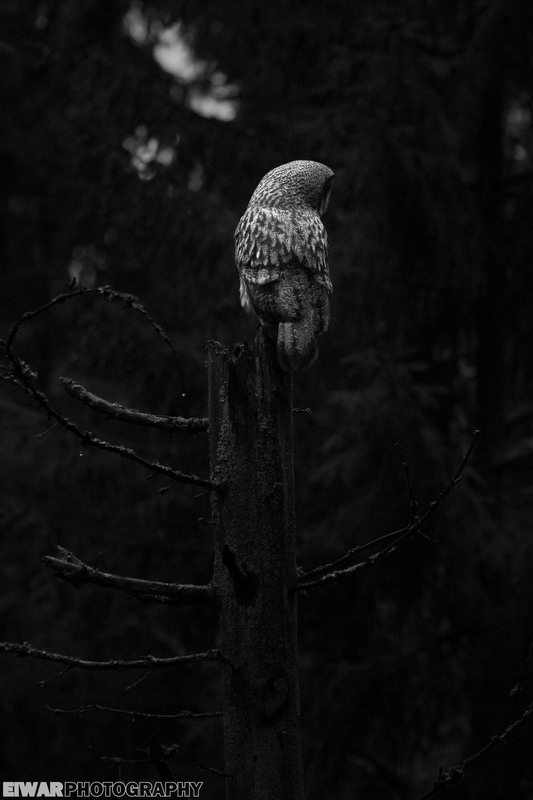 I keep my distances, and soon the owl goes back to a dead tree. Again the flashes, again I stay further, working on composition. 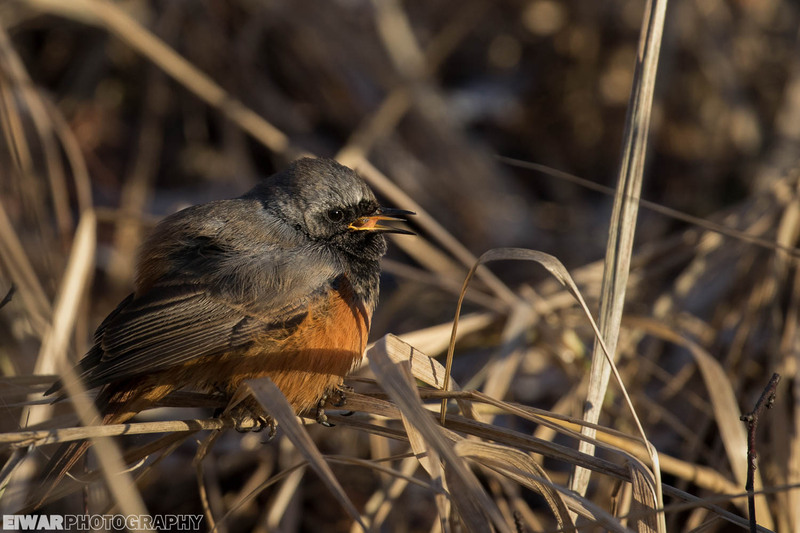 When I left the redstart, I decided I would come back after the trip to Suomenlinna, to get better pictures. It seems hurt, because it opens and closes its beak all the time, but I hope it will be fine. 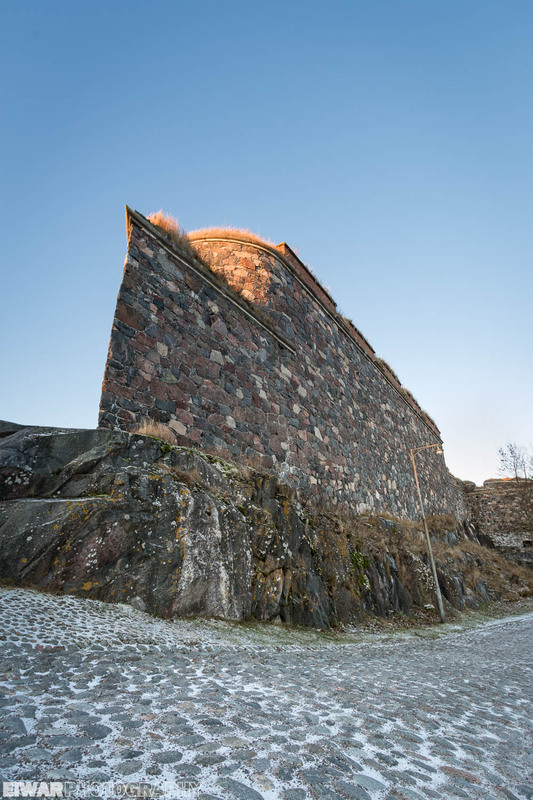 Sunday morning, Suomenlinna. It’s nice and cold, but the sunrise is not very spectacular. 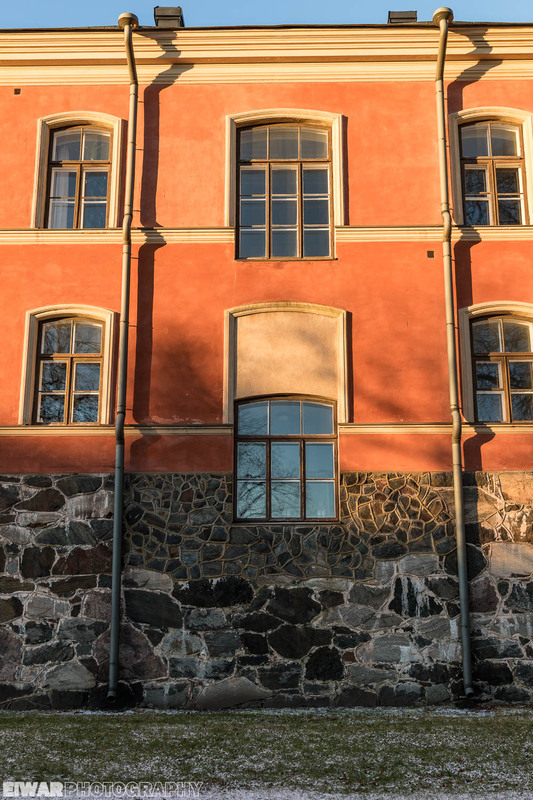 It gets better afterwards, when the warm light meets the warm tone on the façades. It’s a beautiful place, but my heart lies somewhere else today. Back to Viikki! Warm and rainy, this autumn and early winter have filled the lakes and rivers to the maximum. 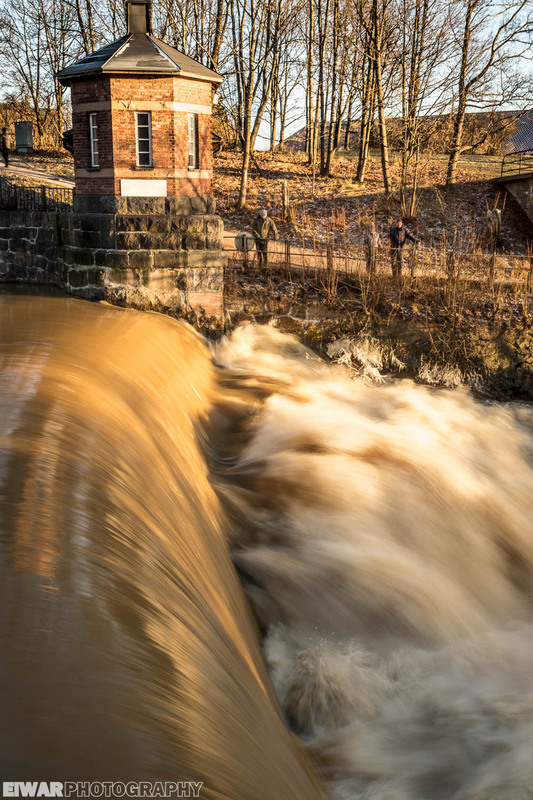 The flow is powerful at the old power station of Vanhakaupunki (“the old town”, that’s where Helsinki started, before the Russian made it the capital of the Grand Duchy of Finland), and the flying current freezes on the bridge, on a spectacular but slippery display. I lie in the snow and shoot some frames of that stunning bugger. When it disappear, so do I. I’m weary but happy. 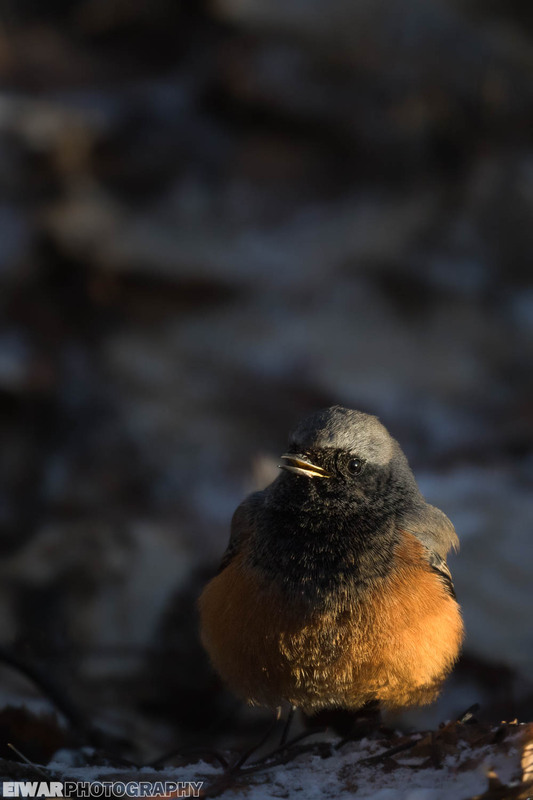 Still, I’m afraid the redstart won’t survive winter, when colder temperatures come. 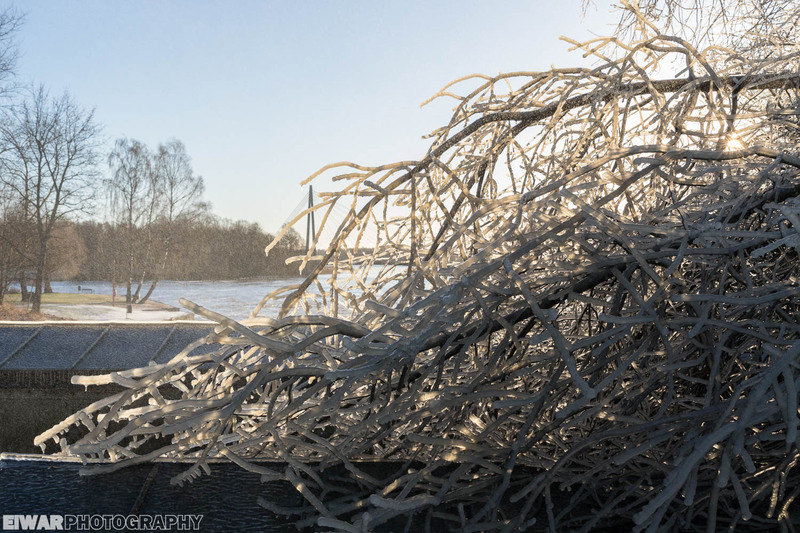 This entry was tagged finland, owl, suomenlinna, Viikki, winter. Bookmark the permalink. 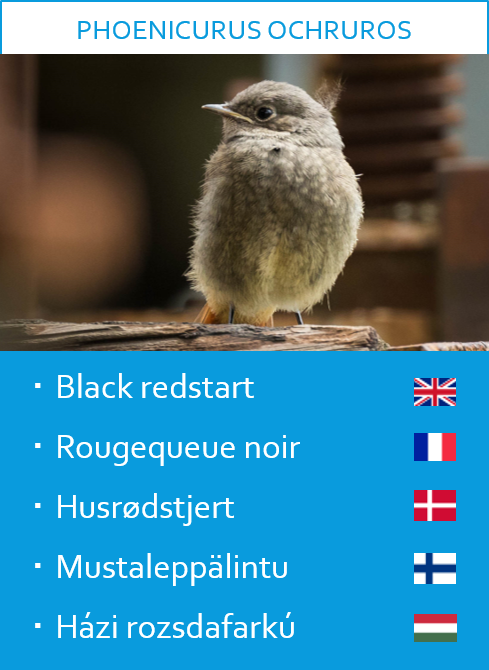 We often spot the Black redstart sitting in our garden (eastern part of Belgium), but mostly we hear it first for it has a very peculiar voice. Its back and tail feathers are also very dark in our region. The reason why we usually first spot its belly. The behaviour of the GGO is perhaps caused by distress. A way of trying to deal with a uncomfortable or threatening situation. 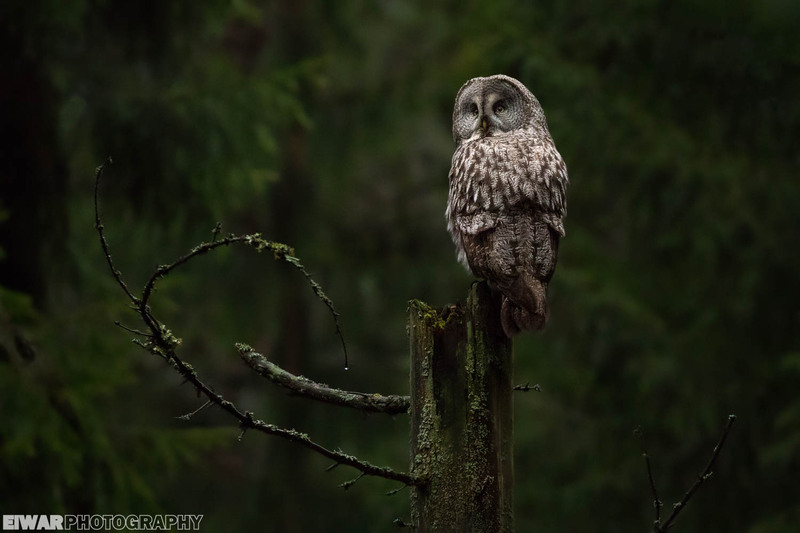 Stunning photos of a beautiful owl specimen. How lucky you were to have that experience! I really enjoyed this article! Great photos! Thank you Mafalda, I’m glad you liked it! Fantastic photo’s of unusual birds! Amazing photos as usual & an excellent read! Can’t wait to follow along on your next adventure! Your photos are so lovely!! Thank you for sharing! A fine post, Samuel. I’m glad you were able to get some good shots. Aggressive (ie competitive) birders are not naturalists, but live for their lifelists without consideration for the species. I am glad to read that you were sensitive to the GGO’s needs. It is similar here in the US when there are irruptions of arctic Snowy Owls in winter. There are so many unscrupulous birders, overcrowding the birds and some actually bring mice to toss at them! All for a photo! 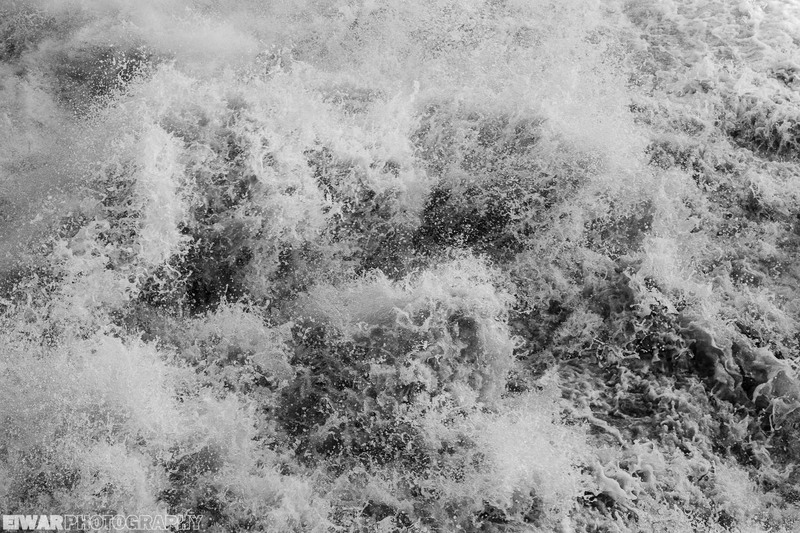 You would think that they would be more careful, but the human ego is a strong force to overcome. Sometimes there are rangers to enforce laws, but that is rare as birds can show up anywhere, not necessarily in a protected area. It is a hard thing to regulate. Why do humans end up harming the things they love? It’s a mystery to me. I would, too! 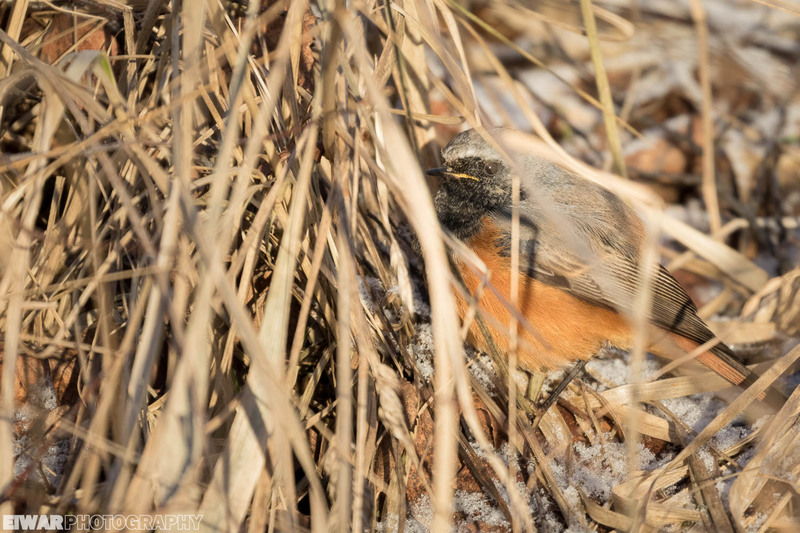 They are attracted to the tundra-like conditions at airports (where rangers are called in to trap and release them in a safer place) and the dunes along the coast. Although one was sighted nearby 100 mi. inland in cornfields along the Connecticut River. I assume it moved on as there was only one report. Thank you for the link – good blog! Beautiful photos, I especially like the bird shots. Yes, I like your writing and photography. 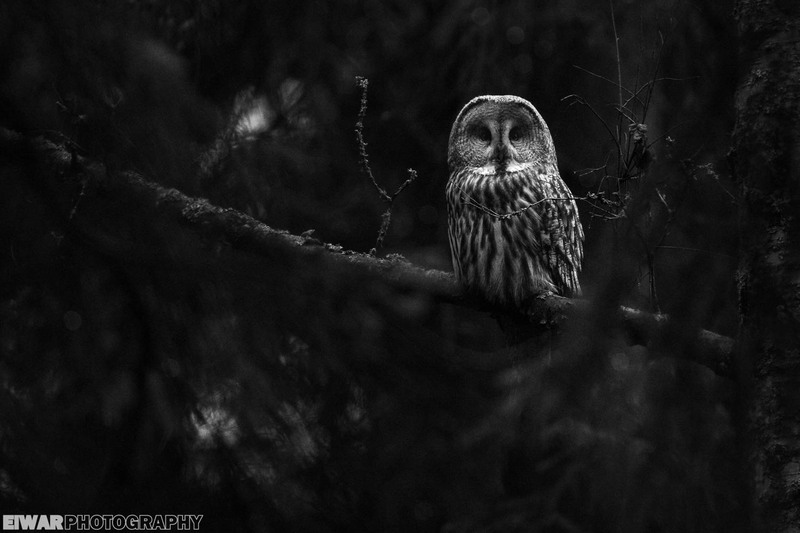 The dark exposures of the owl are impressive and sharp, even at hight ISO’s. Glad you saw both birds, both new for me. Gorgeous photos and your writing style drew me in (as it always does!). I thought of you as I posted two photos on my most recent post, we came across two ravens feeding on a young seagull above the seawall on one of our winter walks! Thank you for your visit and your kind words, as always! Thank you, Samuel! The sun has come out this afternoon & I will once again leave my gloves at home, it’s 11 degrees Celsius outside! I’m so sad to hear about the way those “nature paparazzi” treated the poor owl. Nature photography has become very popular these days, and unfortunately not everyone respects nature the way they should. They just need to get good pictures, no matter what it takes. One good example is the Swedish white moose that became aggressive as a result of people photographing him all the time… But luckily there has now been some writing about ethical nature photography, so hoping things will change! Hi Anniina, thank you for your kind words, and welcome!